The Williams FW11, driven by the brilliant Nigel Mansell, is a car that I have seen numerous scale replicas of, but despite it being an old kit that now appears to be a fairly rare find, it had to built for the collection. 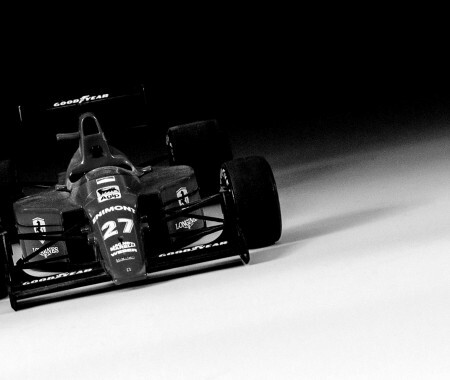 The FW11 is steeped in Grand Prix history. Designed by Patrick Head and Frank Dernie, it was a serious Title challenger in the hands of the incredible Mansell, who drove this V6 powered machine to an brilliant 5 wins over the 1986 season, succumbing to that infamous blowout in the final race in Australia – where all he had to do was finished third to secure his first Drivers Championship. 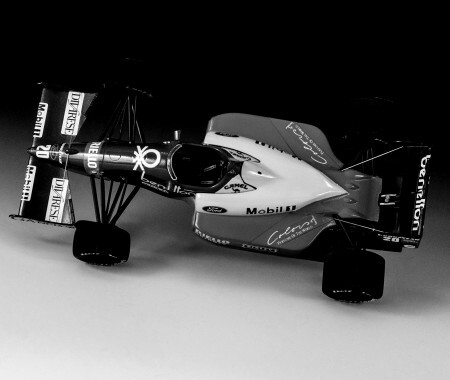 Mansell went on to take the second version of this car (FW11B) to the top of the podium a further 6 times in 1987, but the original Fw11, will be the car that most will recall, if not for it’s awesome ability, but for the memorable final Race in 1986. Williams did however secure the constructors championship that season thanks in part to Mansell’s efforts; a fitting end to a year that saw team owner Frank Williams survive a horrific road crash. Overall the kit wasn’t too tricky to build, and despite it’s age, went together very well. The only problem part was the engine cowling, which was a bit warped, possibly due to storage of the kit, and despite many attempts with boiling water to reshape it, it remain a little curvy as you can see. In an attempt to solve this, I added about 2mm to the bottom edge of the cowling and reshaped it, so that it seated correctly on the car. I did have to use two sets of decals on the model; The blue bands are decals, which have to be softened and manipulated to fit the shape of the car. After the first set was wasted, I found that cutting the decals into smaller parts made them easier to apply, but there were still issues with making them fit the curves of the bodywork perfectly. Due to the age of the kit – I couldn’t source a set of photo-etch details for it, which was a shame, but I did add a few additional details, such as photo-etch radiator grilles, some engine wiring and hand made rear suspension to spruce up the out of the box parts. Painted with Tamiya Lacquers ( Pure White and Chrome Yellow on the body), a little Bare Metal Foil enhances some of the metallic areas in the engine bay, and a set of Tamiya seat belts helps to finish off this first attempt at this famous car.